Who am I to advocate Force? 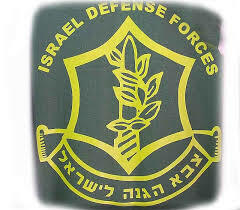 I often feel guilty when I come out in favor of the Israeli Defense Forces (IDF) taking the harshest of approaches. After all, who am I to say this? I live in New York. I do not live in Israel, I do not live in Judea, Samaria, or Southern Israel. I do not have children being called up to fight and risking their life to do the things I comfortably encourage from a safe air-conditioned home in the United States. Who am I? I am a human being, I am a Jew, and I am the son of Holocaust survivors. I have made every attempt in my life, both in practicality and in theory to learn lessons from the past. Sometimes successfully, sometimes not. If there is one lesson I have learned, and I truly believe it may be the most important lesson of our time, one that could mean the difference between the death or survival of modern civilization, it’s that we can not apply rational standards to irrationally thinking people. Do I believe the answer is to wipe out anyone who lives by those irrational standards? Of course not. Do I believe re-education of the greatest kind is needed. I do. I also believe that sometimes the only way to begin that re-education is by a show of force of the most enormous proportions. Two of the most civilized nations today, and strong American allies, are Germany and Japan. Go back 70 years ago to the year 1944 and no one would have thought that to be realistic. Yet the world was saved, at least temporarily by the drastic change in direction initiated by the allied forces basically pounding the two nations into submission. Many people who wanted nothing more but to live a decent life died in the process, on both sides, but the fact remains that with the strong force brought on to both of these nations, history was changed for the better. We face a similar threat today, at least as far as its potential danger, even if the landscape is very different. Many people such as myself, who believe a powerful approach is needed against our enemies, are getting criticized for our viewpoints. “Jews don’t act like that, the enemies do”, is one of the things I have heard. To that I reply, yes, in the past we did not. But we also say Never Again. I find the murder of any innocent person to be tragic. But I also believe in the phrase coined by our ancient Rabbis in Ethics of our Fathers, “im ain ani li mi li”, which translated into English means, “If I am not for myself, who will be for me.” As a Jew, my sad assumption is that as a collective, there will be no one. There are many righteous people who have and would sacrifice their lives to protect innocent people, Jew and non-Jew alike, but there are no nations or groups who will look after the Jewish people any better than their fellow Jews will. So although I feel somewhat guilty for sitting in comfort and speaking in favor of force by the IDF, as a Jew who has learned from history I would feel more guilty if I did not. Weeks ago when I saw I was approaching 100 posts, I started to mull over what would be the perfect way to celebrate the blogosphere milestone. Little did I know at the time that fate would lend a hand. 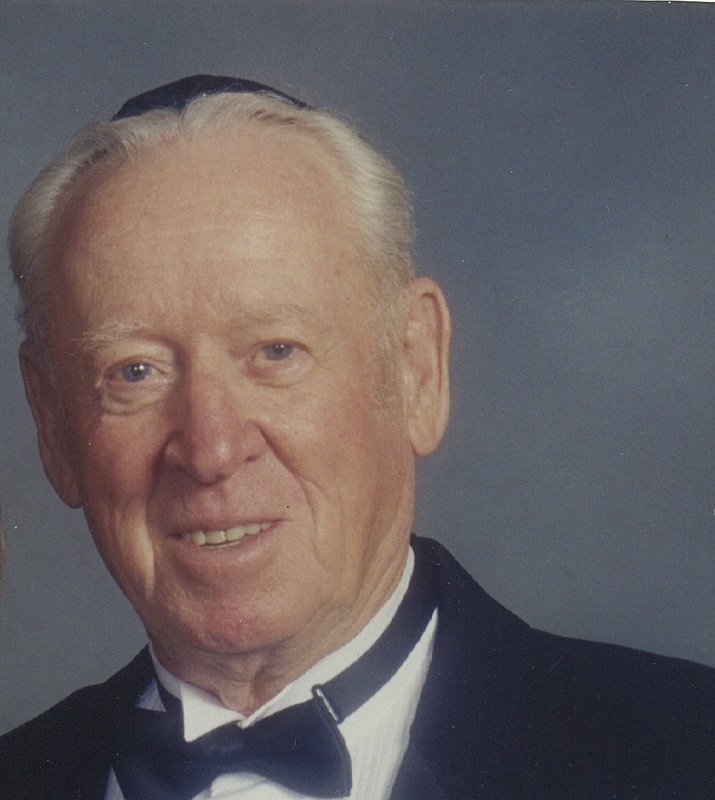 On June 13, 2007, my father Rabbi Nardus Groen, passed on from this world. The English date coincides with the Hebrew date which falls next Saturday night and Sunday. Being that this blog is set up to introduce the book Jew Face, any milestone relevant to the book is appropriate blogging material. It is with that in mind I had determined a long time ago that this week I would be focusing my efforts on here towards honoring my father. This blog is called Holland’s Heroes because of the heroic behavior of the people in the book. Jew and non-Jew, relative or not, whose behavior during the worst of times in Holland, showed unimaginable bravery. 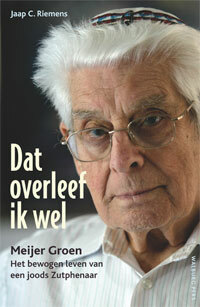 The book speaks of many, but it is primarily the story of my parents, Nardus and Sipora Groen. With that premise I make this post, post number 100, an introduction to a week where I will be honoring and remembering my father. If anyone has a story they wish to share it will be very welcomed. I would love to post it in here or leave it as a comment. And if you choose to buy the book this week in his memory let me know and I will be glad to post it. Thanks to all of you. Even though Semites were originally more than just Jews, the term anti-Semite is now one reserved just for the hatred of the Jewish people. With this in mind I decided to take a look at different definitions of the term in order to see how it is perceived and to help people honestly identify it when exposed to it. The definition in the Urban Dictionary, in my opinion at least, covers the most ground, including the connection to the anti-Israel sentiment. Antisemitism (also spelled anti-semitism or anti-Semitism) is suspicion of, hatred toward, or discrimination against Jews for reasons connected to their Jewish heritage. In a 2005 U.S. governmental report, antisemitism is defined as “hatred toward Jews—individually and as a group—that can be attributed to the Jewish religion and/or ethnicity.” A person who holds such views is called an “antisemite”. Antisemitism may be manifested in many ways, ranging from expressions of hatred of or discrimination against individual Jews to organized violent attacks by mobs, state police, or even military attacks on entire Jewish communities. Extreme instances of persecution include the pogroms which preceded the First Crusade in 1096, the expulsion from England in 1290, the massacres of Spanish Jews in 1391, the persecutions of the Spanish Inquisition, theexpulsion from Spain in 1492, the expulsion from Portugal in 1497, various Russianpogroms, the Dreyfus Affair, and the Final Solution by Hitler’s Germany and official Sovietanti-Jewish policies. While the term’s etymology might suggest that antisemitism is directed against all Semitic peoples, the term was coined in the late 19th century in Germany as a more scientific-sounding term for Judenhass (“Jew-hatred”), and that has been its normal use since then. “Anti-Semite” does not mean “one who is opposed to all speakers of Semitic languages. That is a recent construct, crafted for propaganda purposes. A person who hates jews. Antisemitism refers ONLY TO JEWS. Even though semites include people of other faiths and ethnicities, the term was created by a man named Wilhelm Marr solely to describe his hate for Jews ONLY. Unfortunately, society continues to tolerate anti-Semites and their irrational hate of Jews. • An Anti- Semite may make mendacious, dehumanizing, demonizing, or stereotypical allegations about Jews as such or the power of Jews as collective – such as, especially but not exclusively, the myth about a world Jewish conspiracy or of Jews controlling the media, economy, government or other societal institutions. • An Anti-Semite may accuse Jews as a people of being responsible for real or imagined wrongdoing committed by a single Jewish person or group, or even for acts committed by non­Jews. 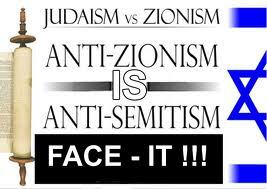 • An Anti-Semite may deny the fact, scope, mechanisms (e.g. gas chambers) or intentionality of the genocide of the Jewish people at the hands of National Socialist Germany and its supporters and accomplices during World War II (the Holocaust). •An Anti-Semite may accuse the Jews as a people, or Israel as a state, of inventing or exaggerating the Holocaust. •An Anti-Semite may accuse Jewish citizens of being more loyal to Israel, or to the alleged priorities of Jews worldwide, than to the interests of their own nations. •An Anti-Semite may use the symbols and images associated with classic antisemitism (e.g., claims of Jews killing Jesus or blood libel) to characterize Israel or Israelis. •An Anti-Semite may hold Jews collectively responsible for actions of the state of Israel. Yes I said Holland’s Heroes. But to those thinking I meant Hogan’s Heroes, you already have some understanding of his relevance. Growing up I remember shows such as All in the Family and Sanford and Son being watched and enjoyed, but nothing ever seemed more popular than the spoof of Nazi Germany’s war machine known as Hogan’s Heroes. Hogan’s Heroes is set in what is supposed to be a German prisoner of war camp during World War II. ‘Stalag 13’ is where Colonel Hogan and his men used the cover of their incarceration as a base for underground activities against the German war machine. The camp is run by Colonel Klink, an easily influenced, small-minded fool who believes everything he is told, especially when it is presented as self-serving, and Sargent Schultz, a lovable fool who would be a lot happier eating strudel all day than disciplining prisoners. Colonel Hogan is joined by 2 fellow American soldiers, a French soldier, and an English soldier, played by Richard Dawson, Hogan’s second in command. The charm in the show, besides being extremely funny, was that it did a perfect job of walking that fine line between making humor out of the most sensitive of subjects without crossing a line that made the show either painful or inappropriate. In blatantly making fun of the Germans while never making light of the horrors that took place, the show brought just the appropriate amount of comic relief where one would think it otherwise impossible to do so. On his passing, we recognize Richard Dawson’s contribution and present you with this clip from the show.